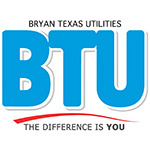 Bryan Texas Utilities (BTU) has contracted with Davey Resource Group (DRG) to perform an audit of field assets, including poles, transformers, conductors, pedestals, and service-drops, throughout the entire BTU system—including Brazos County, and parts of Burleson and Robertson counties. To complete this work, DRG employees will need to access all BTU owned poles and equipment located on and around private property, including behind privacy fences. 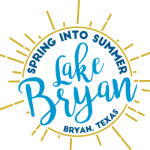 Employees can be identified by the logo on their trucks, bright yellow uniforms, and official badges. They will also be provided with vehicle decals signifying them as a “BTU Contractor”. Their presence on private property is solely for the purpose of performing an inventory of BTU assets, and should cause minimal, if any, disruption. DRG Crews will work throughout BTU’s service territory over approximately 12 months to complete the audit, and will be performing most of their work during regular business hours, Monday through Friday. Postcards will be mailed to customers within one to two weeks of contractors starting work in their area in an effort to keep residents informed of their presence. For additional information, please contact BTU at 979.821.5700.